Design for a small price. This was Asus' goal for the Zenfone 6, a 6-inch phablet with HD resolution, bright IPS touchscreen, a powerful Intel Atom dual-core SoC, as well as 16 GB flash storage for a fair price of 279 Euros (~$353, RRP). The combination looks promising. Asus already sells a couple of smartphones, and some of them in the lower price range, where it is not so easy to attract attention. Because of this, the developers from Asus tried to make the Zenfone 6 unique, which was a success. The phablet is available in the four colors of red, black, gold and white, and has already obtained the prestigious Red Dot Design award. 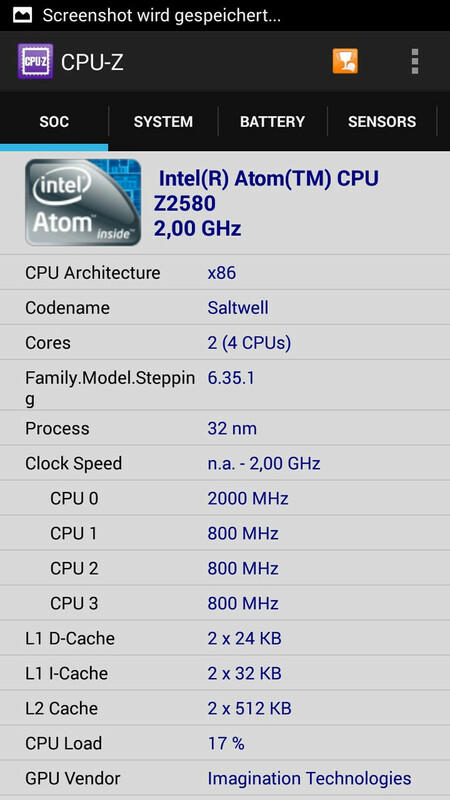 But the manufacturer also includes powerful components: Intel Atom Z2580 dual-core processor clocked at 2.0 GHz, 2 GB of memory, and integrated PowerVR SGX544MP2 GPU – this suggests a decent performance. Furthermore, you get 16 GB of internal storage, a microSD slot for cards with up to 64 GB, as well as an IPS+ display with HD resolution. This means the Asus Zenfone 6 is a direct competitor for the Asus Fonepad Note FHD 6, Acer Liquid S1, HP Slate 6 6000en VoiceTab, and Huawei Ascend Mate. 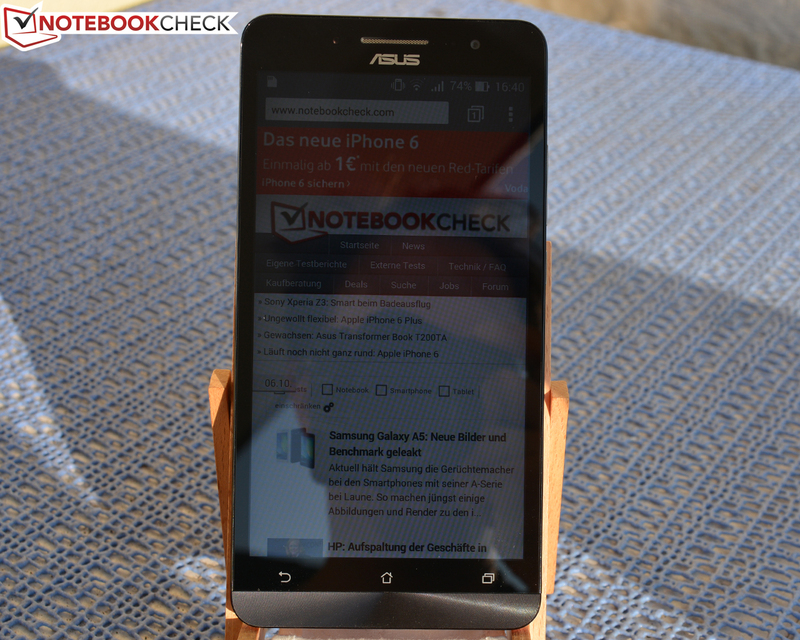 Asus Zenfone 6: Sturdy and well-built. 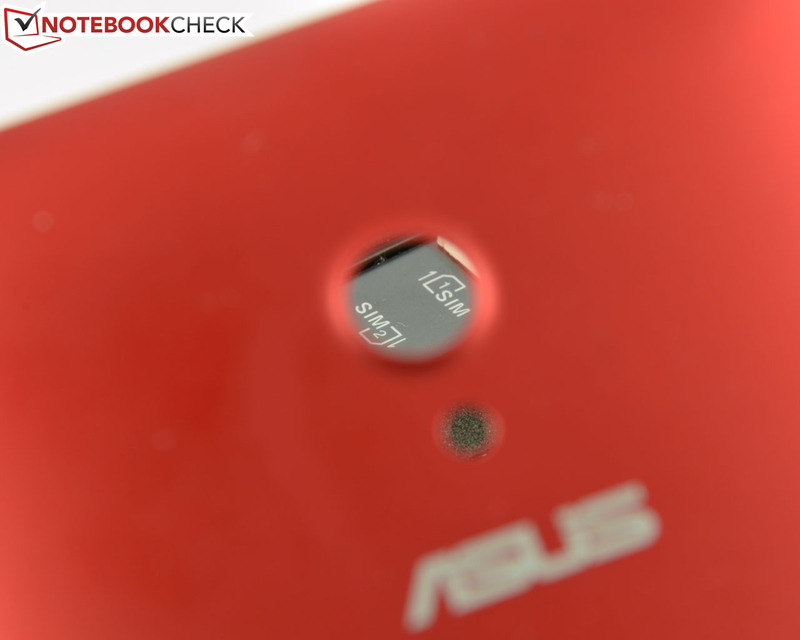 The detachable back cover of the Asus Zenfone 6 A600CG is made of matte red polycarbonate. The rest of the case is made of black plastic, and the display is covered with sturdy Gorilla Glass 3. The matte plastic at the back makes the smartphone very easy to hold, and thanks to the slight curve at the back, it also feels very good in the hand and does not really attract fingerprints. With a thickness of 9.9 mm (~0.39 inches), and a weight of 200 grams (~7 ounces), the Zenfone 6 is not really compact enough for a smartphone, but it is still decent for a 6-inch phablet. 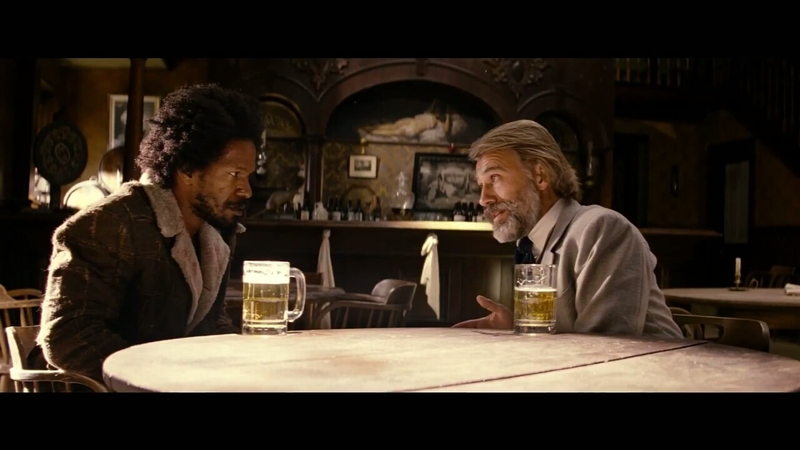 This impression is also supported by the comparison with its rivals. 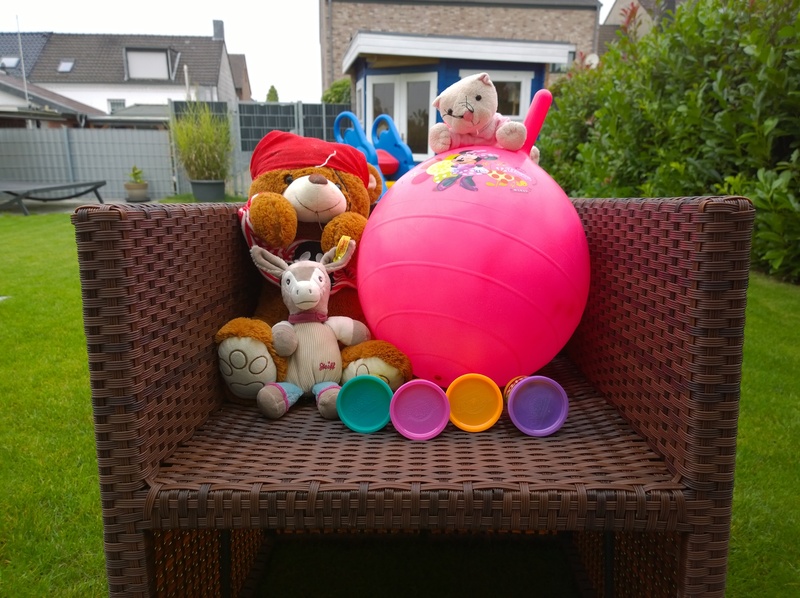 Our review sample is well-built, and has even gaps. Our pressure test does not result in creaking sounds, and the twisting is still acceptable. We also liked the volume rocker and the power button that are made of ribbed aluminum. Only drawback: The back cover is very firm, which increases the stability of the case, but it is also pretty tough to remove. 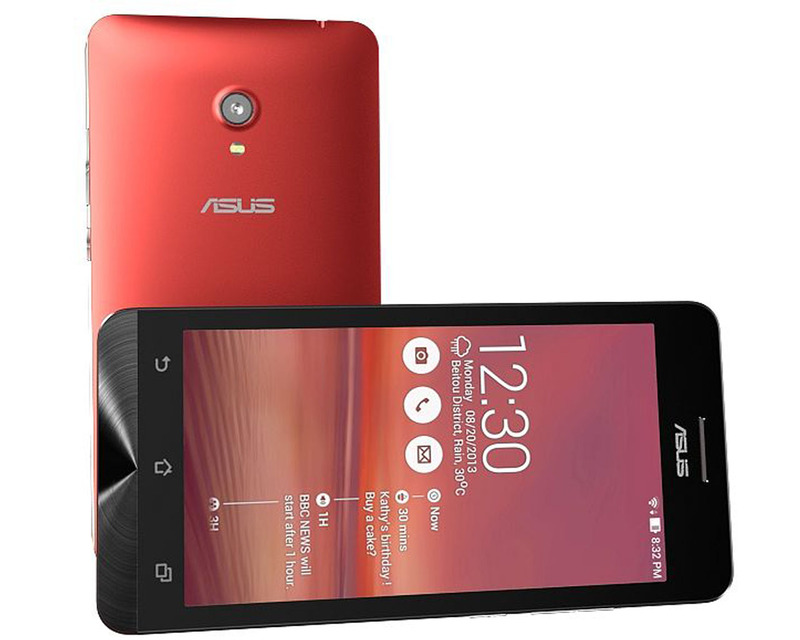 Asus equips the Zenfone 6 A600CG with a frugal Intel Atom Z2580 dual-core processor clocked at 2.0 GHz as well as the integrated PowerVR SGX544MP2 and 2 GB of memory. The internal flash storage has a capacity of 16 GB with around 12 GB for the user. 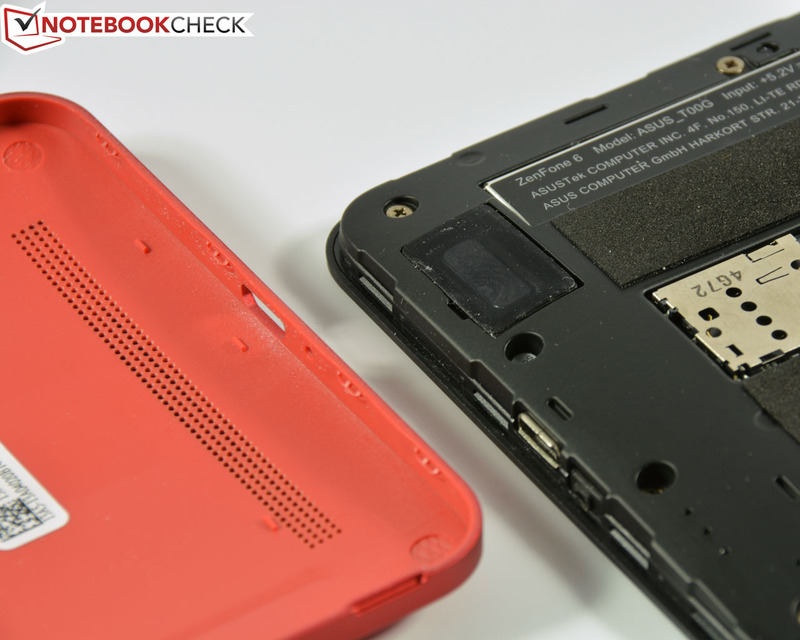 The internal storage can be expanded with microSD cards up to a capacity of 64 GB. Asus also includes 5 GB of its own web storage. 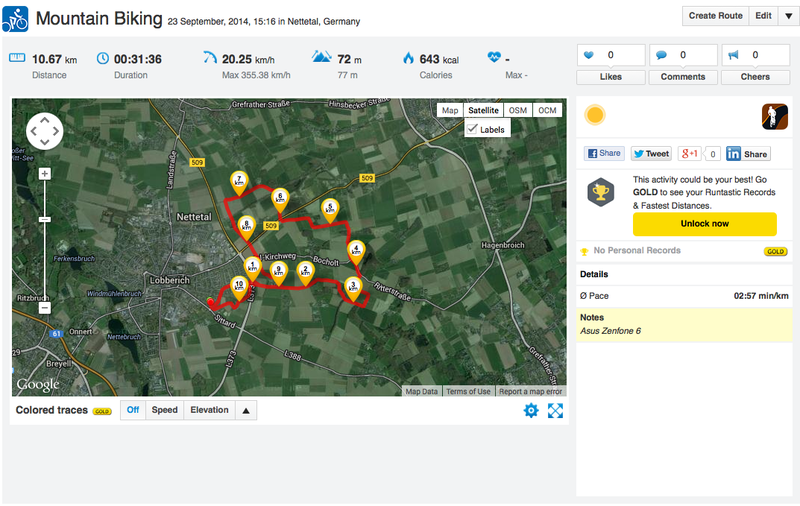 The App2SD feature works with the majority of apps. 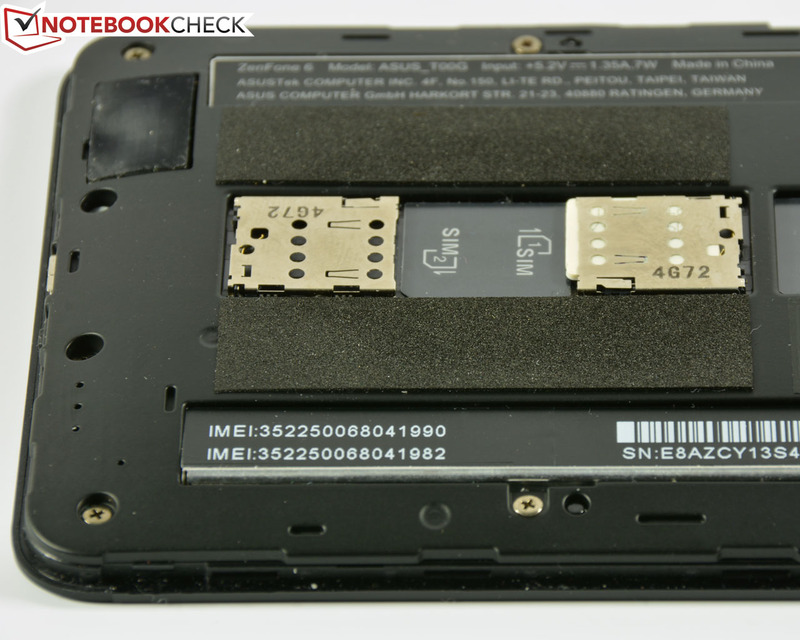 The two micro SIM slots support 3G/UMTS. Unfortunately LTE is not included, even though other rivals in this price range offer 4G functionality. 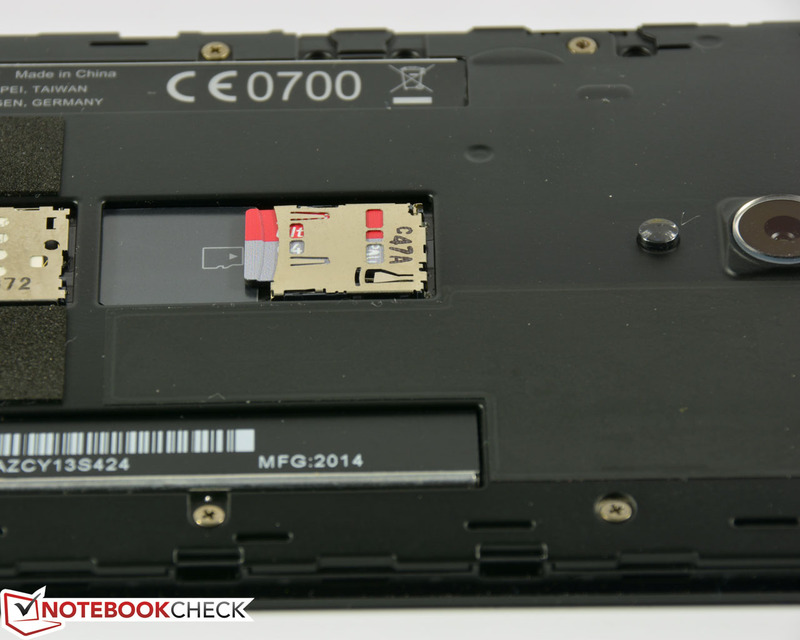 The micro SIM slots as well as the microSD slot are behind the detachable back cover. The mandatory micro USB 2.0 slot, and the 3.5 mm stereo jack are obviously available as well. The physical power button and volume rocker work reliably and have a convenient position. 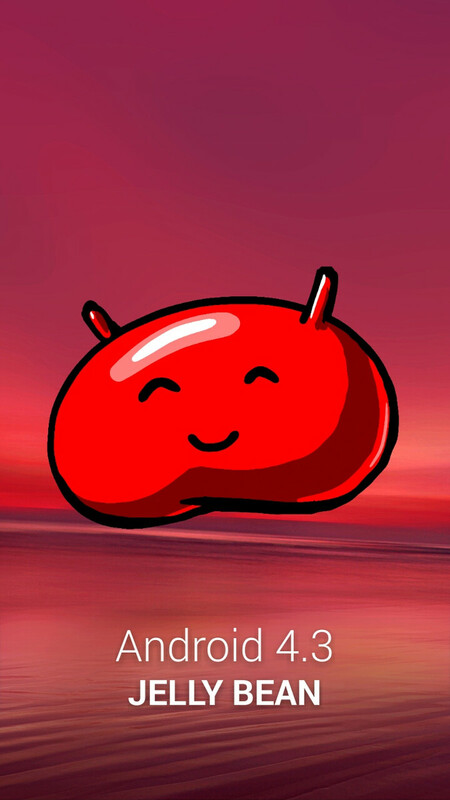 The operating system of the Zenfone 6 is Android 4.3 Jelly Bean. An update to the current Android 4.4 KitKat is already announced and should be available shortly after the launch. 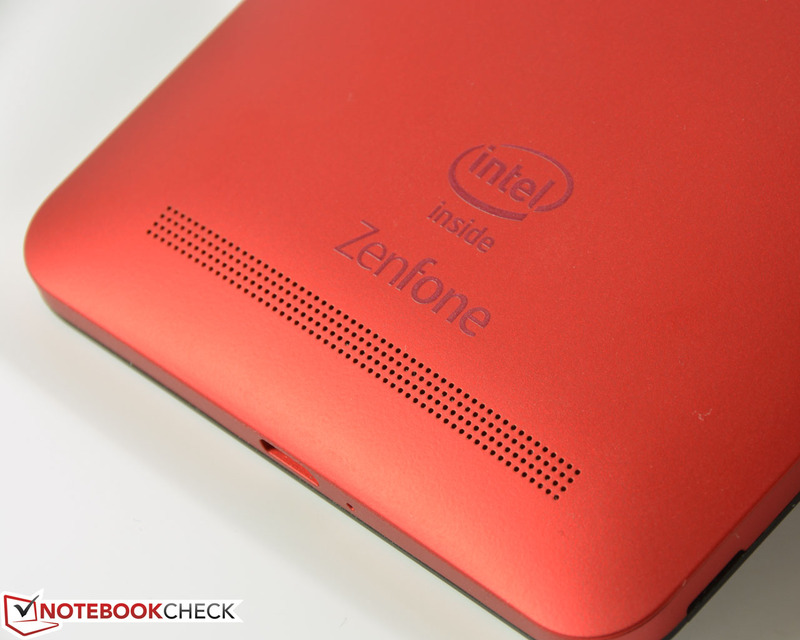 The operating system was once again adjusted by Asus with its ZenUI. This allows an intuitive handling, and a nice user interface. 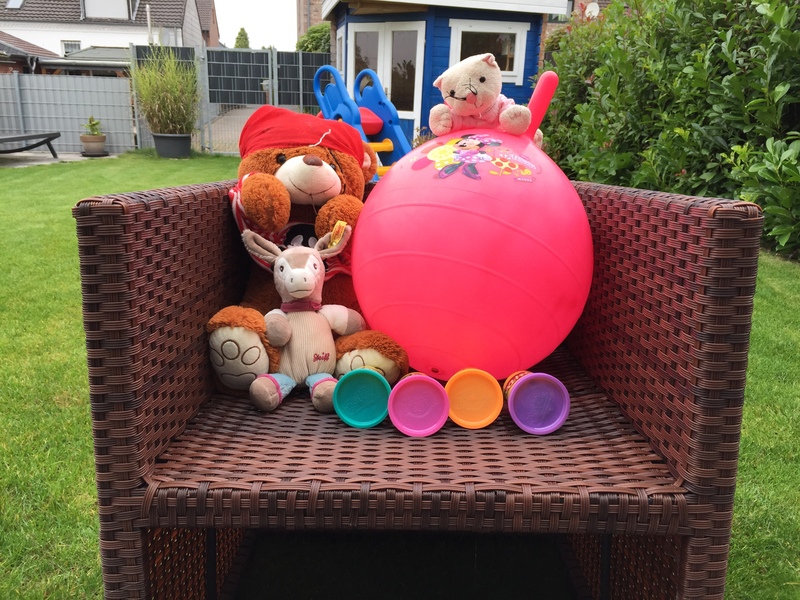 Important functions like the WLAN and GPS settings, Bluetooth or energy-saving features, as well as intelligent applications like a universal messaging app or a simple storage manager confirm this. Asus also installs some useful apps such as Google Chrome, Kindle from Amazon, Facebook or the usual Google package, and there is hardly any annoying bloatware. 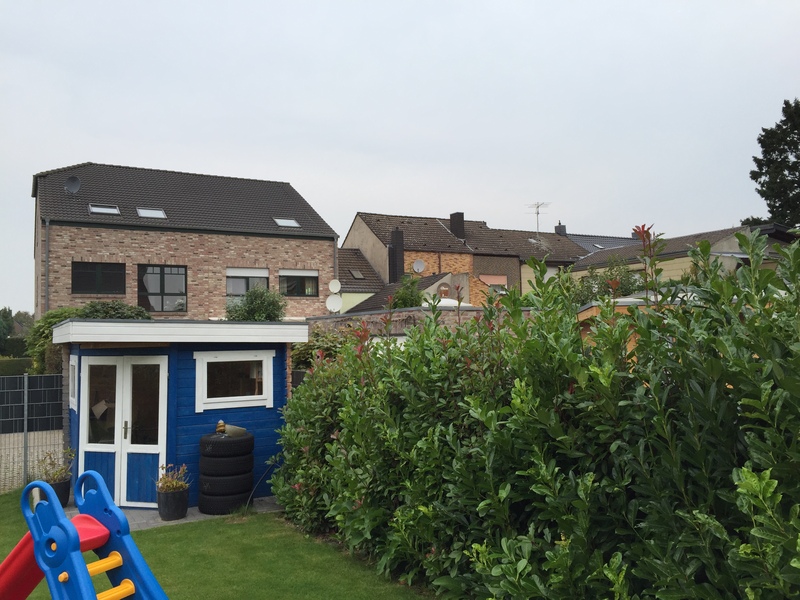 Our review unit supports wireless networks according to WLAN 802.11b/g/n, as well as Bluetooth 4.0 + EDR. Mobile web browsing is fast enough thanks to UMTS/3G. 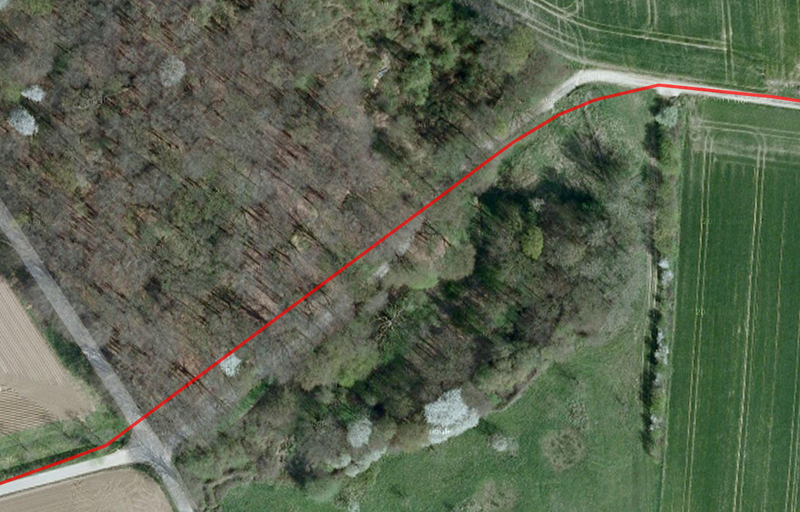 The wireless signal is very good, the Asus Zenfone 6 was able to maintain a stable connection to the router from a distance of around 10 meters (~33 ft), and through several walls. Quad-band GSM (850/900/1800/1900 MHz) and the dual-SIM functionality ensure flexibility on the road. Our review unit also supports quad-band UMTS (850/900/1900/2100 MHz) with HSPA+ and maximum transfer rates (download/upload) of 42 Mbps/5.76 Mbps. 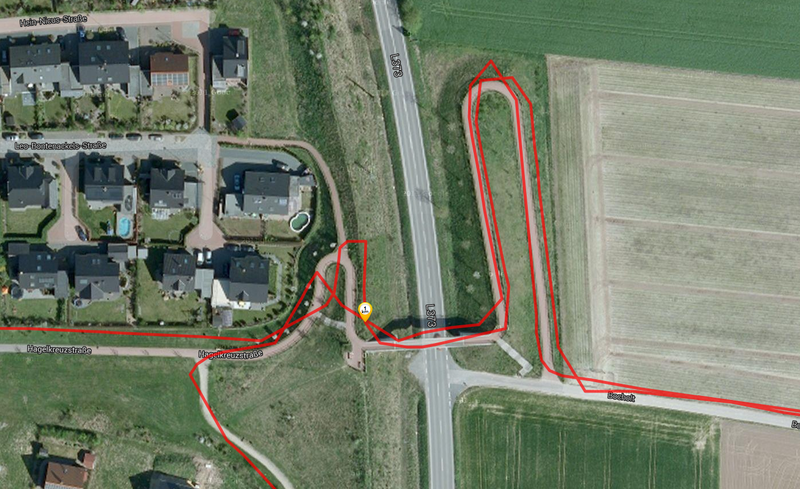 The A-GPS module works just as reliably, and quickly connects with a couple of satellites in the app GPS Test. 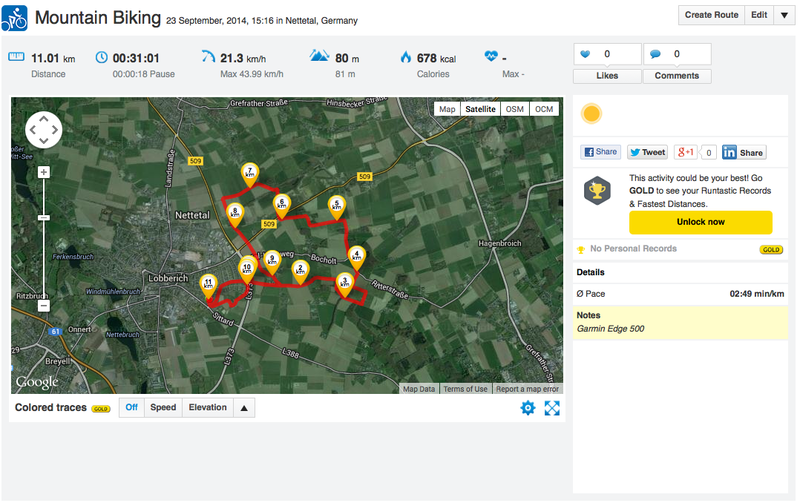 Our navigation comparison with the Garmin Edge 500 shows a decent performance for the Zenfone 6. 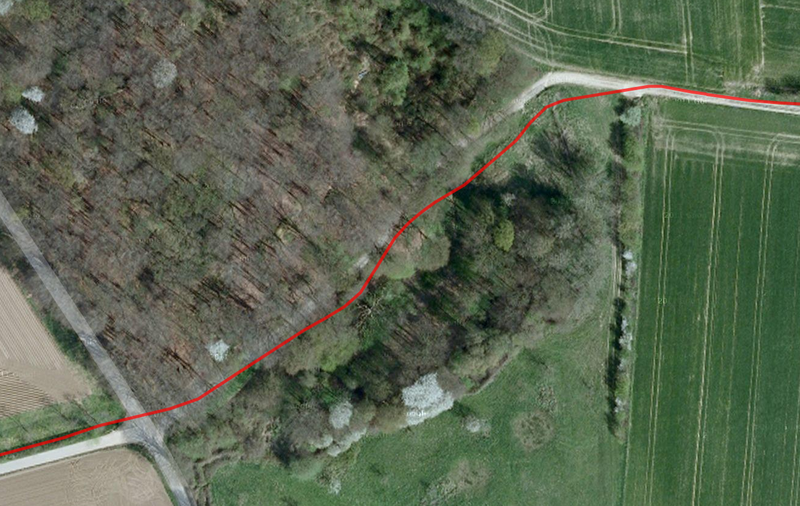 There are only some deviations in more complex areas like the forest section or the winding track, but the overall difference compared to the professional device is very small. 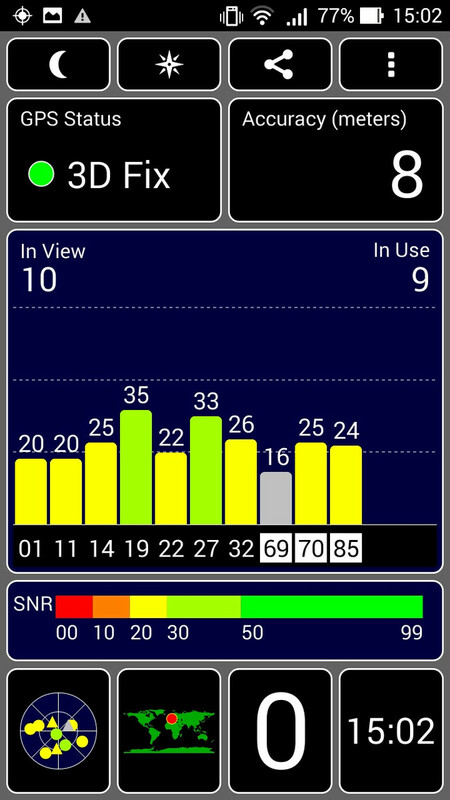 The phone app was slightly adjusted and scores with a good multi-SIM integration. 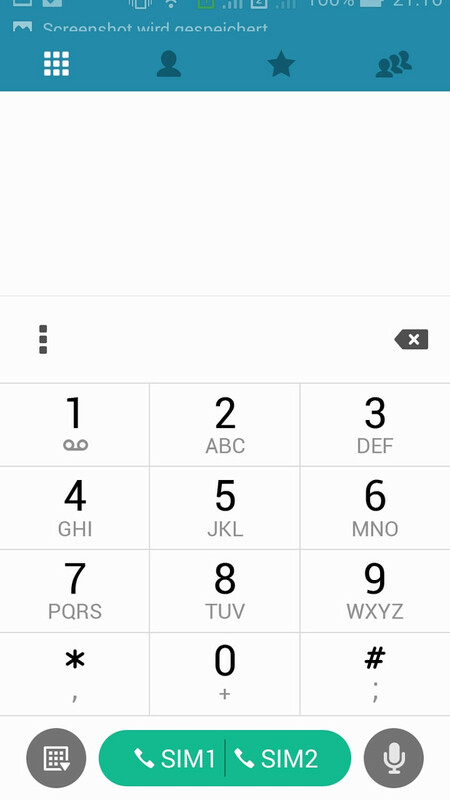 The user gets numerous settings for every SIM card, which means you can, for example, use different SIM cards for private and business calls or use an additional less expensive data plan. The sound and voice quality during calls was very good in our review, which is also confirmed by the call recipient. The hands-free feature is loud enough to enable conversation in noisier environments. The Asus Zenfone 6 A600CG has a main camera with 13.0 megapixels including auto-focus and LED flash, as well as a 2 megapixels webcam. The main camera records videos with 1080p/30fps. While the camera at the back can reproduce decent sharpness and good colors in good lighting conditions, we are pretty disappointed with the front camera. Despite the comparatively high resolution, the pictures are blurry and the colors are distorted. 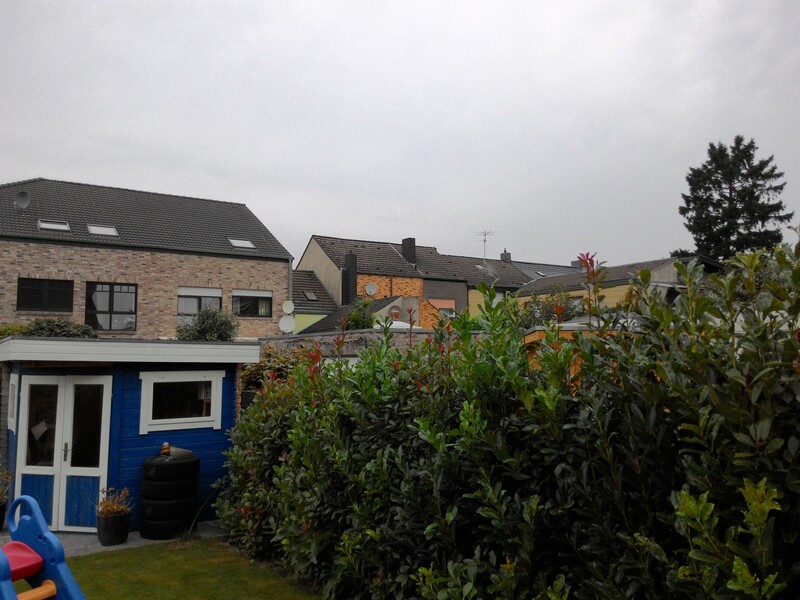 At least the main camera does a decent job in a direct comparison. As well as the standard accessories like the modular power adaptor with a USB cable, a quick-start guide, and some warranty information, the box of the Asus Zenfone 6 A600CG also contains a decent in-ear headset with several adaptors. 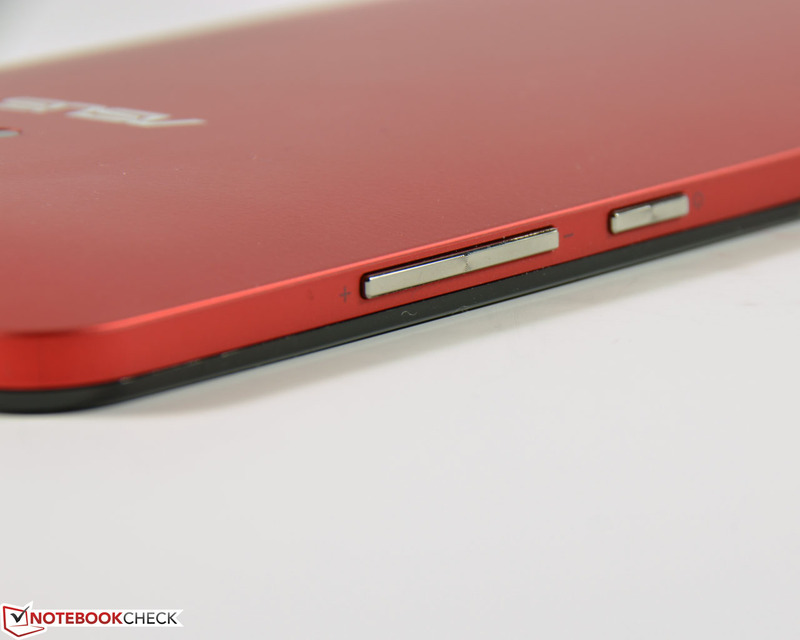 Asus also offers optional accessories like the Asus View Flip Cover with view on important information on the screen for around 30 Euros (~$38) in the colors white, black and red. Asus offers a 24-month warranty for the Zenfone 6 A600CG. The smartphone quickly executes any inputs, it does not matter if you use the three Android soft-touch buttons at the bottom of the display, or the capacitive touchscreen. The automatic screen rotation reacts quickly too. The IPS+ screen enables precise control of applications and menus. 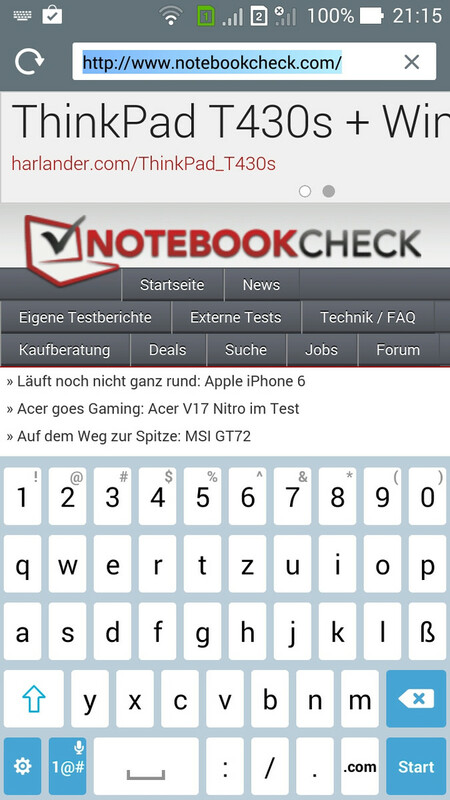 The virtual QWERTZ keyboard occupies around 50% of the display in portrait mode, and around two thirds in landscape mode. This means you would not see a whole lot from the actual display content, however, the typing is pretty comfortable. 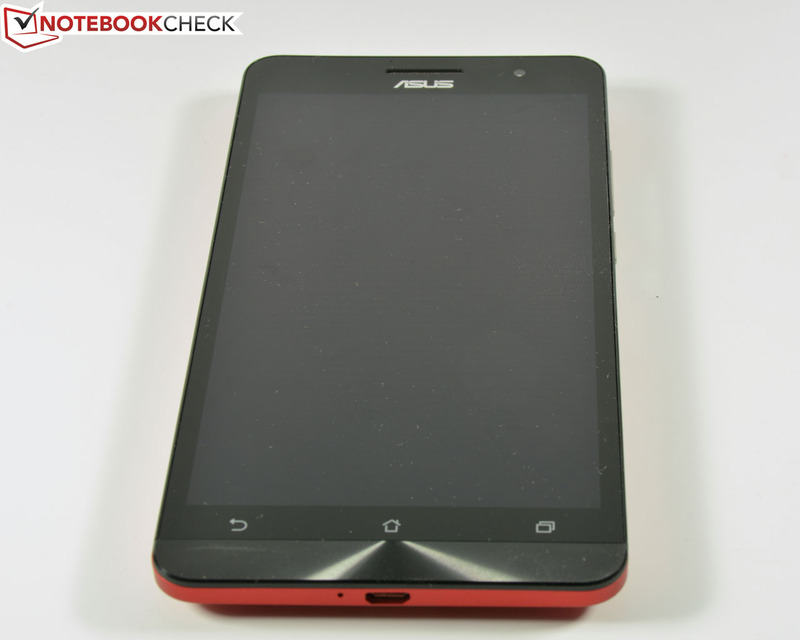 The 6-inch display has the HD resolution of 1280x800 pixels, which is on par with the competition, only the Asus Fonepad Note FHD 6 uses a Full HD screen. 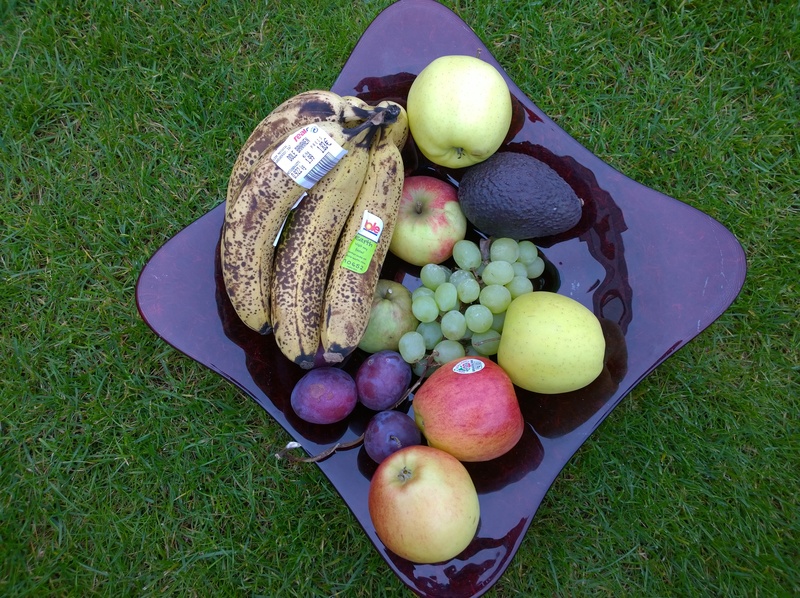 The picture is satisfactory with high sharpness and rich colors. An average brightness of 359.7 cd/m² is sufficient for almost every scenario. Still, the rivals are clearly ahead with 412 up to 470 cd/m². The maximum value of 385 cd/m² of our review sample does not break any records, either. 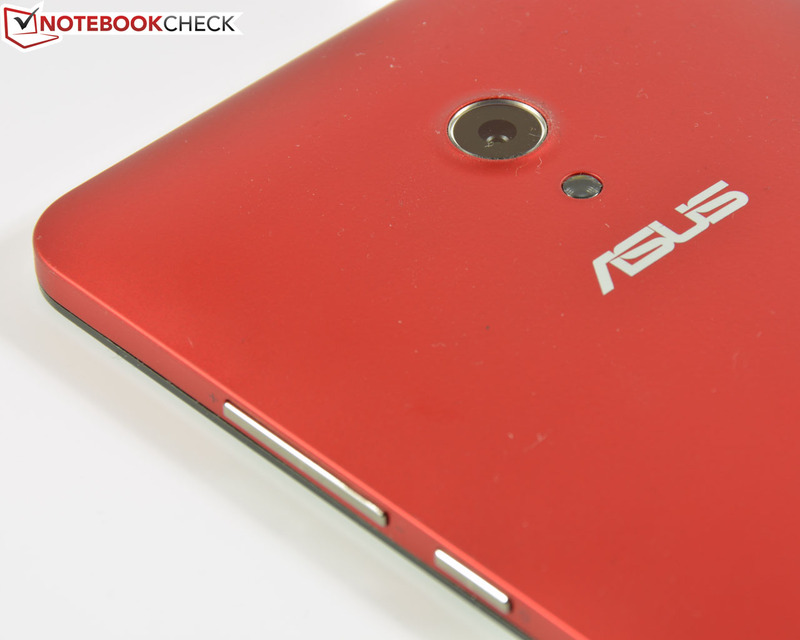 With a pretty even brightness distribution of 86%, the Asus Zenfone 6 is on par with its rivals. However, our review sample can surpass the majority of competitors with a contrast of 845:1 and a black value of 0.44 cd/m². 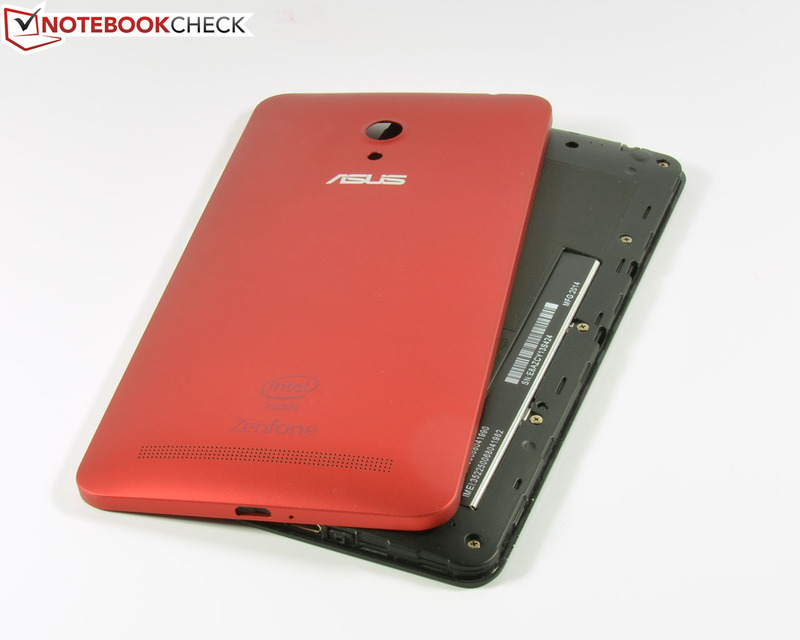 Only the Asus Fonepad Note FHD 6 is superior. 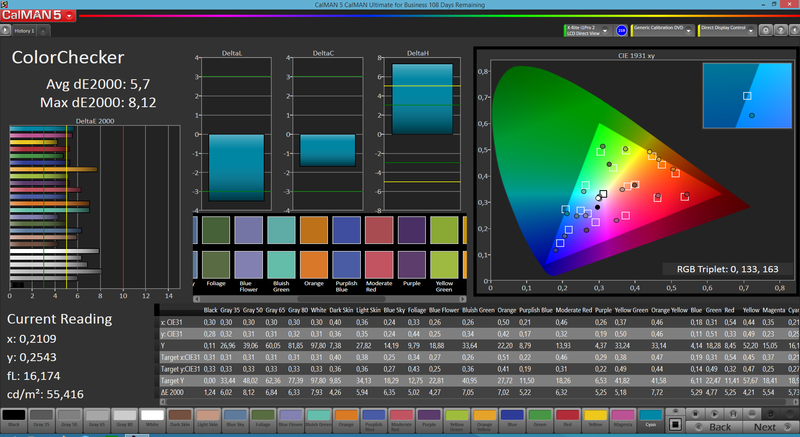 Our CalMAN measurements show a clear deviation of blue and red in the Color Management, the DeltaE of 5.7 is slightly raised. 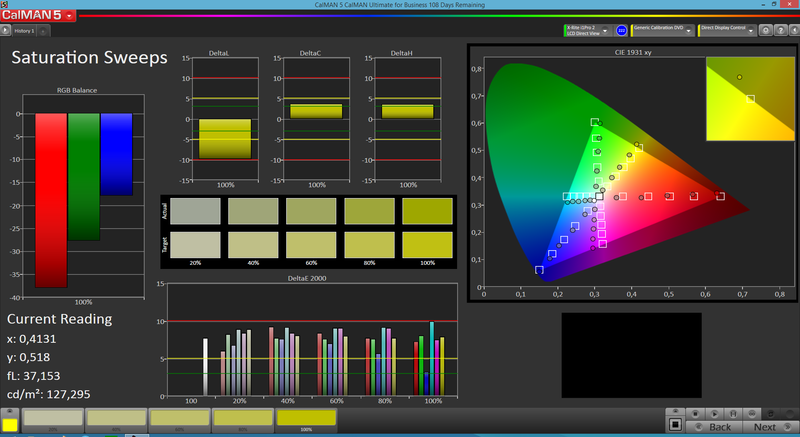 Color Management and Color Checker also reveal a slightly too low color brightness, which is indicated by the refresh colors in the Target column. Overall, the color accuracy is decent. The grayscale reveals a visible blue cast, starting at the center scale. Both the gamma of 2.94 and the DeltaE of 5.97 are slightly raised, but actually not far away from the ideal values. The average color temperature of 7,286 K is not as close to the ideal value of 6,500 K. Still: These deviations are not visible during everyday use, the color representation of the display is very good – especially when you consider the low price of the device. Maximum 385 cd/m² are indeed bright enough for outdoor use, but the highly reflective Gorilla Glass 3-surface throws a small spanner in the works. 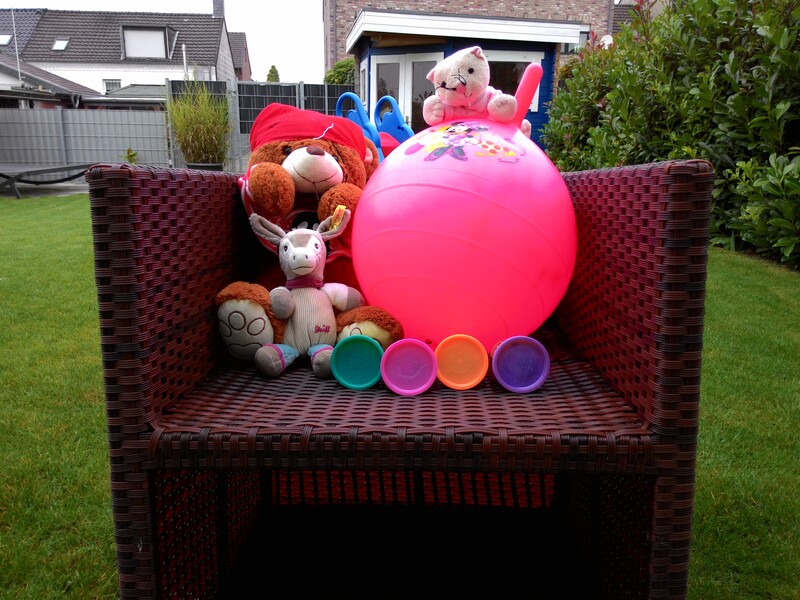 Outdoor use is possible if direct exposure to light can be avoided. 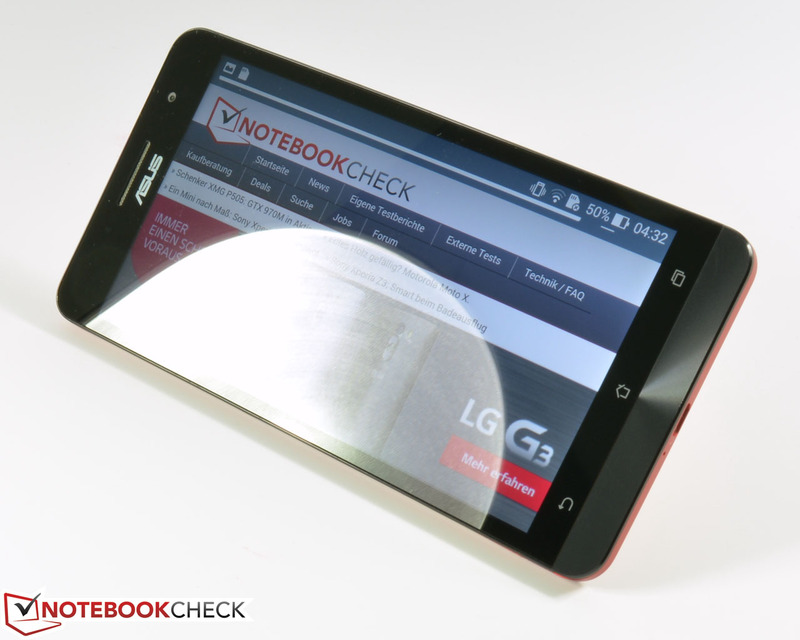 Thanks to the IPS+ HD technology, the display offers very wide viewing angles. We can only see small deviations with very extreme and impractical angles. 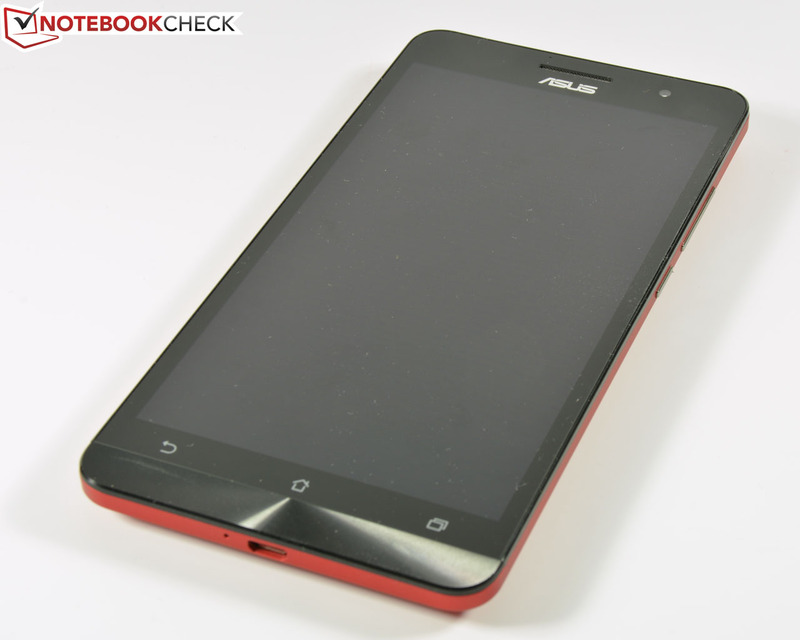 Asus uses a frugal Intel Atom Z2580 dual-core processor clocked at 2.0 GHz for the Zenfone 6 A600CG. The PowerVR SGX544MP2 GPU is integrated into the SoC. The team is supported by a generous 2 GB of memory. This SoC is still a very fast chip and always provides sufficient performance, so current apps should not be a problem. 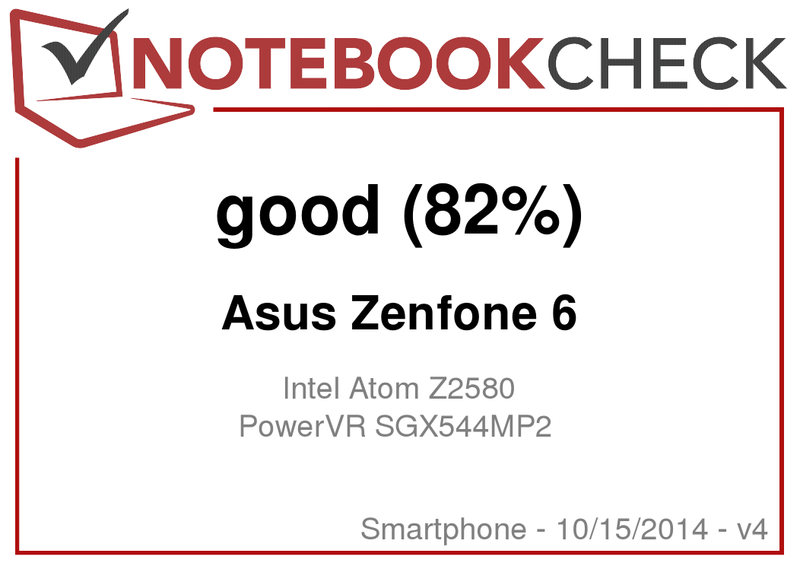 This is also confirmed by our synthetic benchmarks: The Asus Zenfone 6 achieves excellent results in the majority of benchmarks and can leave the competition behind. This is noticeable in 3DMark 2013 in particular, where the review sample has an advantage of up to 64% (HP Slate 6 6000en VoiceTab). 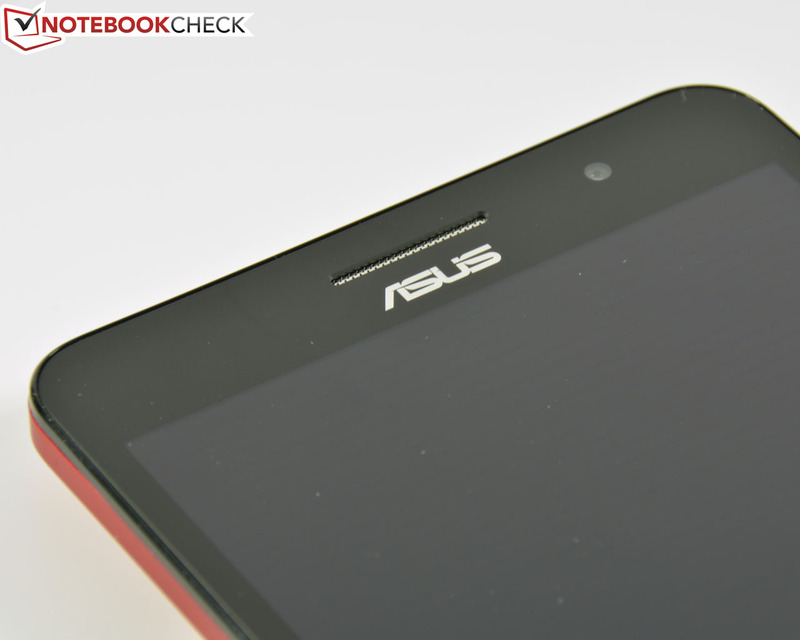 AnTuTu v5 and BaseMark OS II even show that the Asus Fonepad Note FHD 6 falls slightly behind. 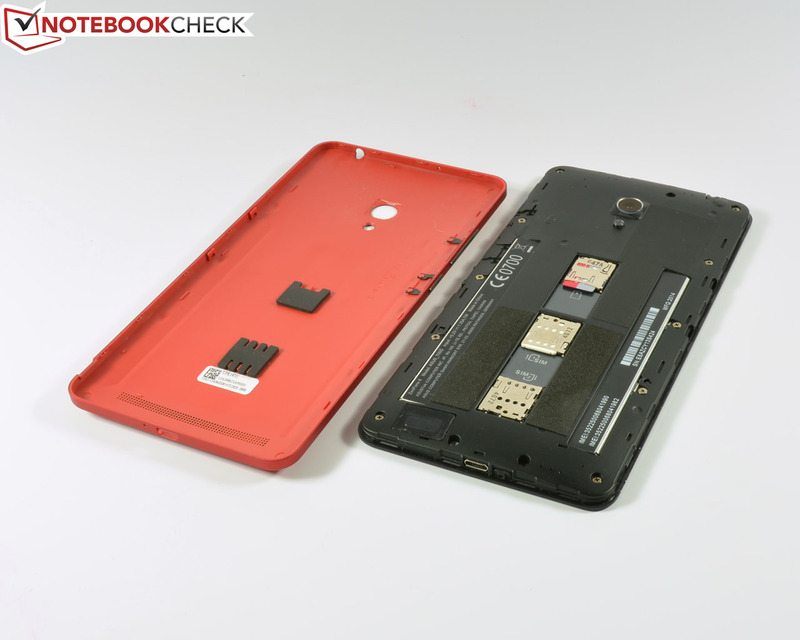 The advantage is not as big in Geekbench 3, the sibling Fonepad Note FHD 6 is once again close. 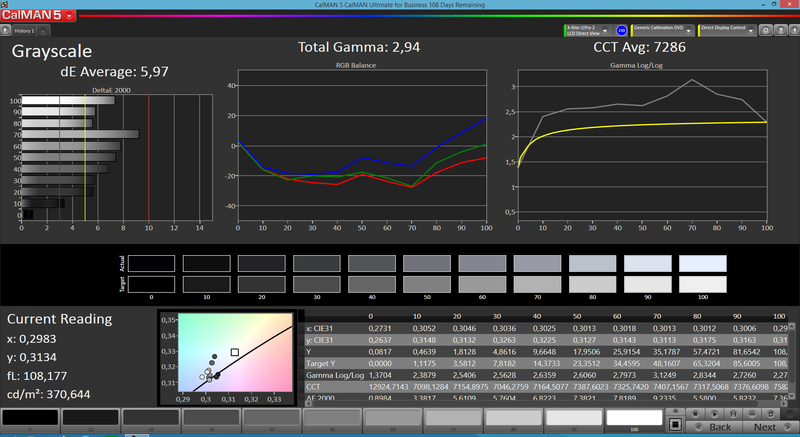 However, the Huawei Ascend Mate can manage a clear advantage in GFXBench 2.7, but the other rivals are still left behind. The storage test AndroBench 3 shows that the flash storage of the Asus Zenfone 6 is very fast and can, except for the 4K tests, surpass the rivals. The browser-based benchmarks with the Android browser are not really great within the comparison. While the review sample is faster than the Acer Liquid S1 and the Huawei Ascend Mate in the older Google V8 Ver.7 and faster than the HP Slate 6 6000en VoiceTab in Octane V2, it is clearly beaten in the other tests. 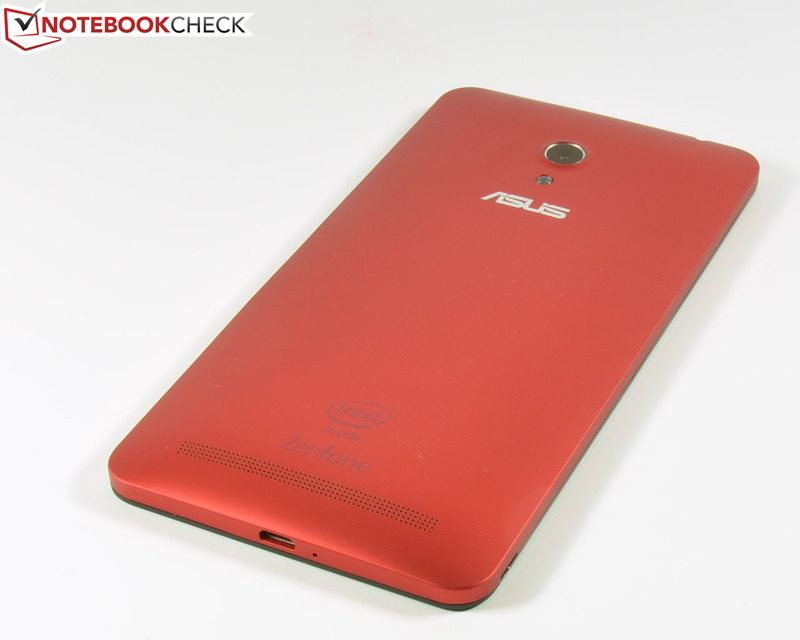 Sun spider 1.0 and Kraken 1.1 in particular do not determine a good performance for the Asus Zenfone 6. 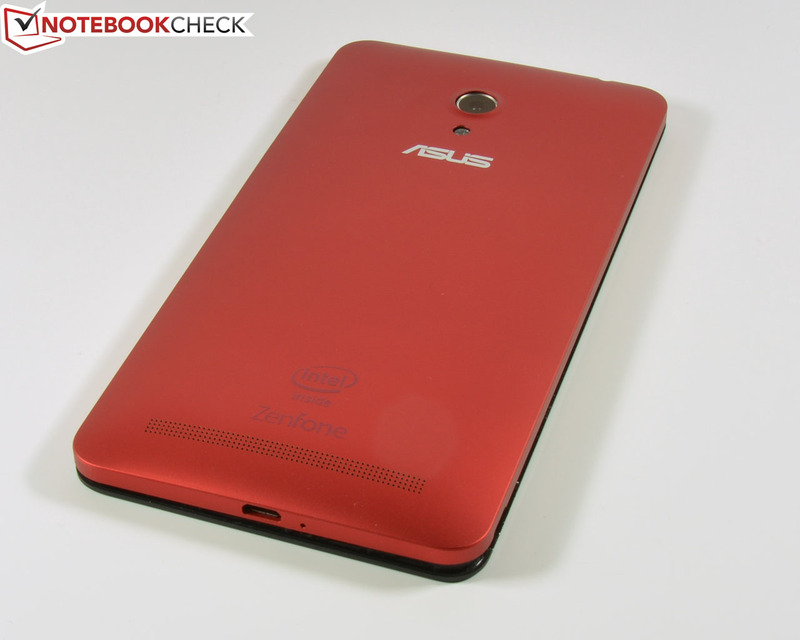 However, the situation changes once again in the benchmarks Vellamo 3.0 and WebXPRT 2013, and the review unit can surpass all the rivals, only the Asus Fonepad Note FHD 6 can keep up. We recommend you use the significantly faster Google Chrome browser to improve the everyday performance; web browsing will be much more enjoyable. The PowerVR SGX544MP2 GPU is integrated into the SoC and proves satisfactory with a high 3D performance. 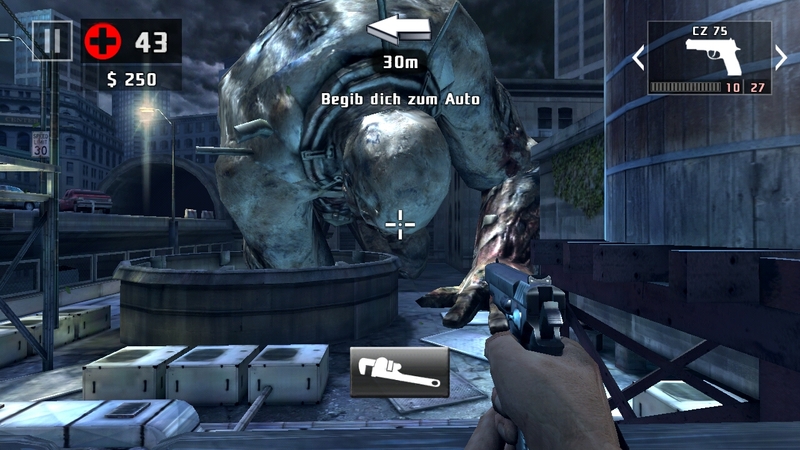 Even complex Android titles like Dead Trigger 2 or Trials: Frontier run smoothly. 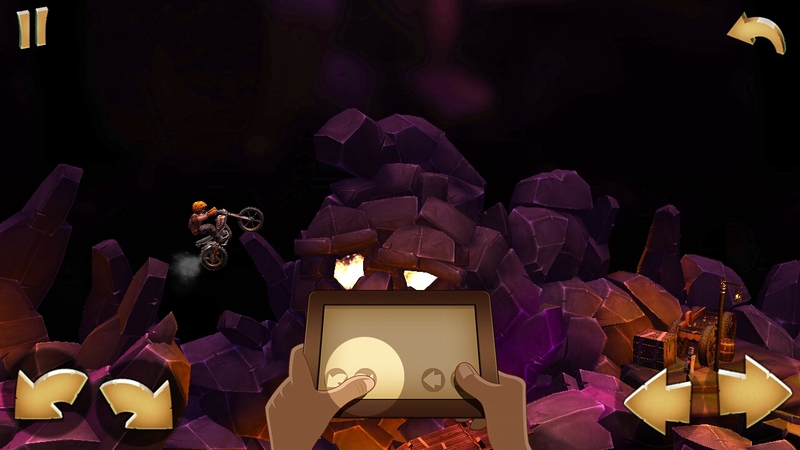 Controlling games with the touchscreen and the position sensor, as well as accelerometer is very precise and quick. Full HD videos are no problem for the hardware, either. The surface temperatures are never inconvenient during everyday use. Idling results in 29 °C (~84.2 °F) on average and we can measure up to 30.5 °C (~86.6 °F) at the top – not even lukewarm. Continuous maximum load results in surface temperatures of 36 °C (~96.8 °F) with the maximum temperature of 42.5 °C (~108.5) in the area around the SoC. The power adaptor reaches 41.3 °C (~106.34 °F) under load, and therefore should not be covered by any objects. The speaker is at the back of the review sample and produces a good sound with a high maximum volume. As is typical for this class of products, you can hear clear deficits like emphasis on the high tones with higher volumes. The 3.5 mm stereo jack is effective with a low signal noise, as well as a high maximum volume. The power consumption of the Asus Zenfone 6 is pretty low with values between 0.7 and 2.5 Watts while idling and 4.2 up to 6.4 Watts under load. A direct comparison shows that the HP Slate 6 6000en VoiceTab and the Acer Liquid S1 consume much less, the Huawei Ascend Mate on the other hand, consumes quite a lot. 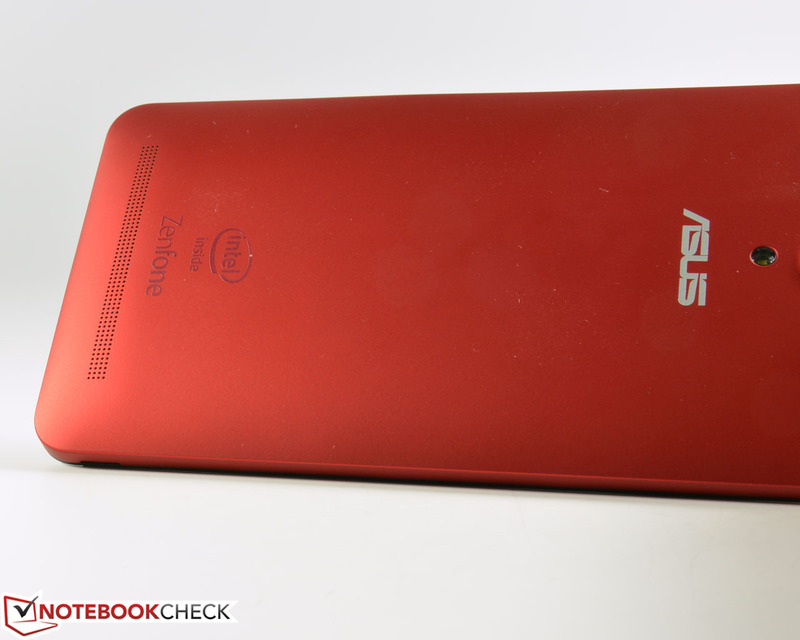 The Asus Zenfone 6 A600CG has a 3,300 mAh battery, which unfortunately cannot be removed. According to the manufacturer, the battery provides a runtime of up to 398 hours in 3G standby. The SoC is comparatively frugal, but the IPS panel consumes a lot of power. Still, our review sample can manage decent results in our battery runtime tests – even in comparison with the rivals. Maximum load with the app Stability Test and maximum brightness, results in 3 hours and 16 minutes, which is only ahead of the Asus Fonepad Note FHD 6 (3,200 mAh) within our comparison. The other rivals like the Acer Liquid S1 (2,400 mAh), or the HP Slate 6 6000en VoiceTab (3,000 mAh) are more frugal and manage slightly longer runtimes. The Huawei Ascend Mate does not last much longer, either, despite its huge 4,050 mAh battery. 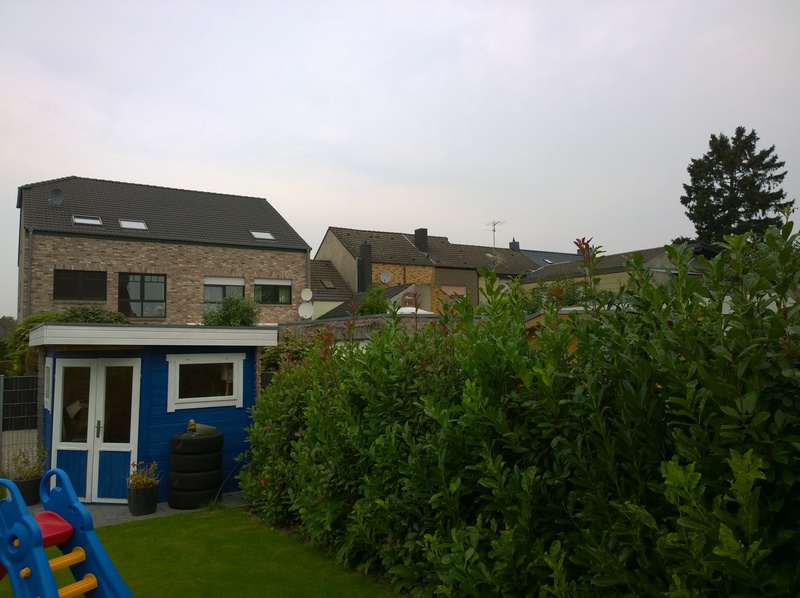 Our more realistic WLAN test with an adjusted brightness of 60% (150 cd/m²) is finished after 8 hours and 38 minutes on the phablet, which is a good result. 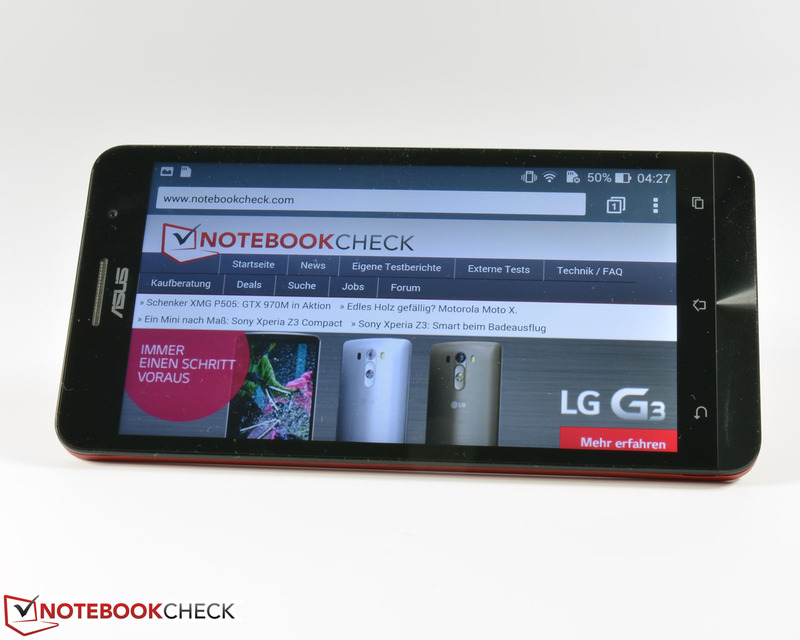 The Asus Fonepad Note FHD 6 runs for another hour, and the Huawei Ascend Mate easily gets the top spot with a runtime of 12:04 hours. 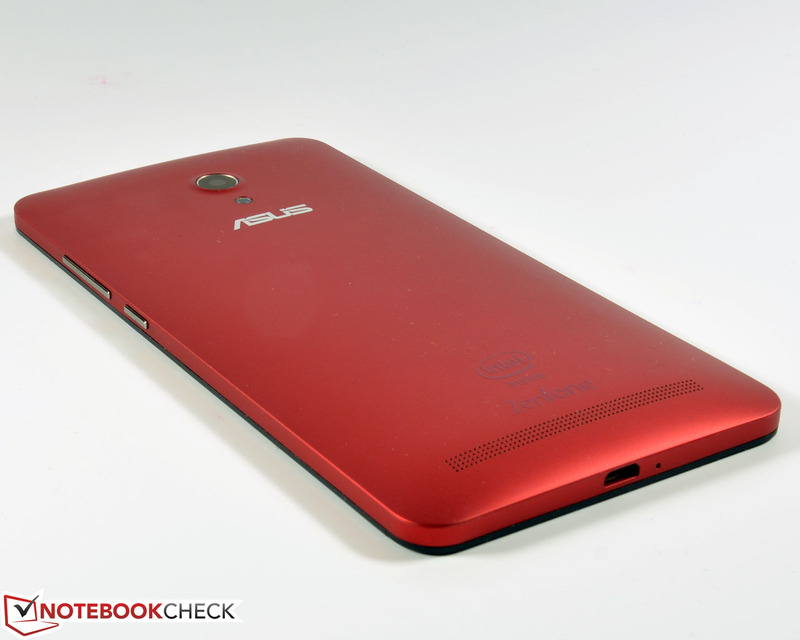 The maximum runtime of the Asus Zenfone 6 is around 15 hours. The communication modules are deactivated (WLAN active) in this scenario, and we use the minimum display brightness as well as the energy-saving mode. 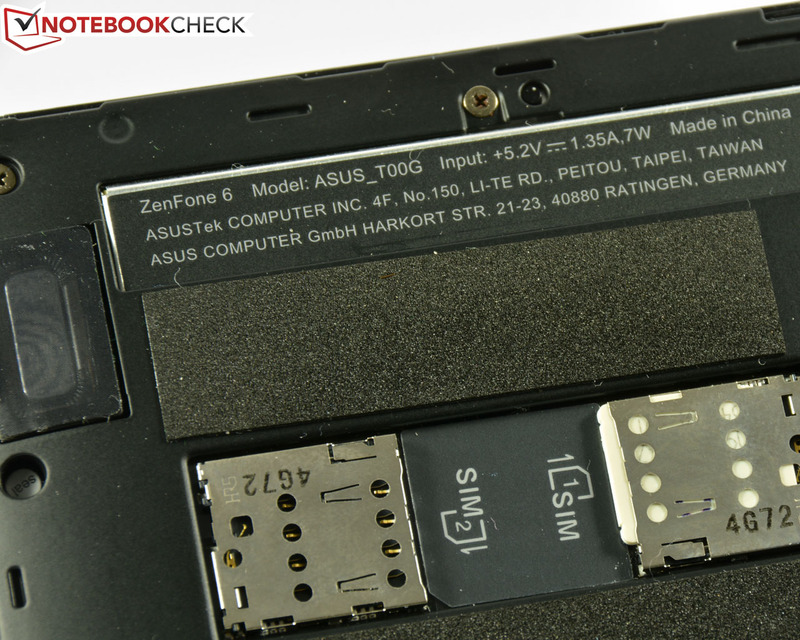 The competition cannot maintain the advantage, the Asus Fonepad Note FHD 6 manages almost an identical runtime. Only the marathon runner Huawei Ascend Mate surpasses all the rivals with an impressive runtime of 23:22 hours. Our review sample repeatedly stopped the video runtime test with the app Video Looper and the Full HD movie Big Buck Bunny. We have no explanation for this behavior. 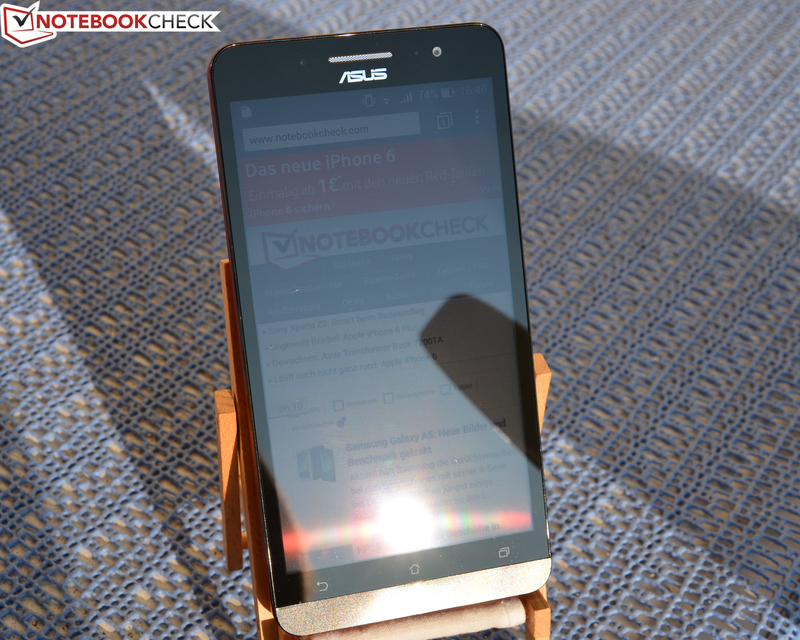 All in all, the battery of the Asus Zenfone 6 should easily last a day with an adjusted display brightness. 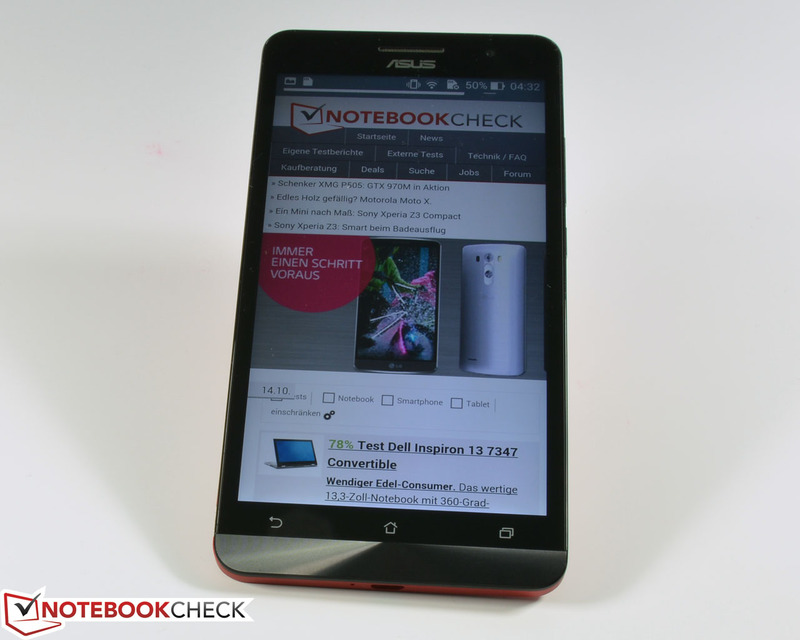 With a huge display size of 6 inches and the powerful hardware, the Asus Zenfone 6 A600CG is a really enjoyable phablet. It has a classy and sturdy case, with a good build quality. 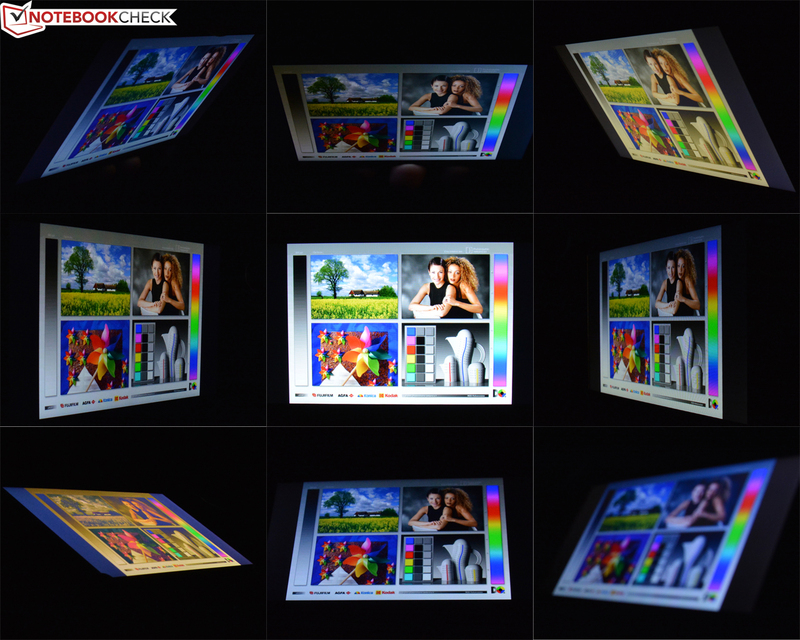 The IPS+ display also offers wide viewing angles as well as good colors. The large memory of 2 GB ensures smooth multitasking. 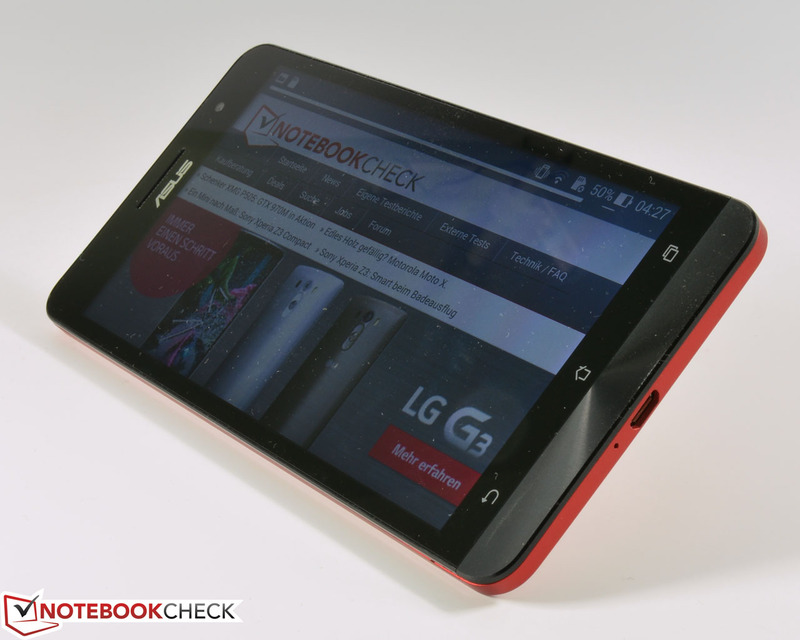 The handling of the phablet is never a problem with the precise and quick touchscreen. Around 12 GB of the internal storage plus up to 64 GB via microSD and 5 GB web storage – this means you can store all important files and multimedia contents on your phone. Thanks to the well-implemented dual-SIM feature and good communication modules, the smartphone is very flexible all over the world and quickly locates your position with the precise GPS module. This flexibility is supported by the enduring battery , which is a good thing since you cannot replace it. The main camera of the Zenfone 6 takes decent pictures that look nice on the bright and sharp screen, even though the latter does not support the Full HD resolution. That the quality of selfies is not as good, is not a huge drawback, just like the fact that the update to the current Android 4.4 KitKat is not yet available. The device is very fast, even with Android 4.3 Jelly Bean and the handling is very intuitive thanks to ZenUI. If you are looking for a flexible device with a large display and powerful components, then we can recommend the Asus Zenfone 6 A600CG. 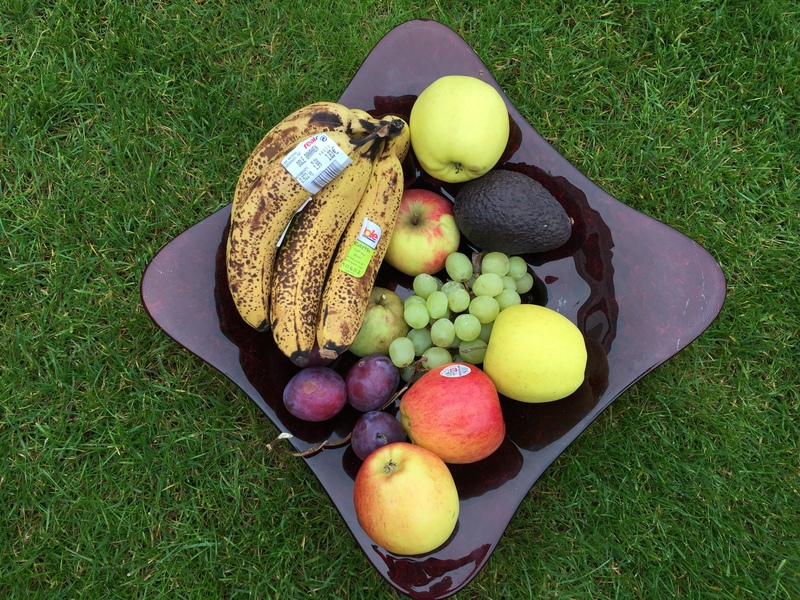 All in all, the mainstream phablet is a satisfactory device with a very appealing price-performance ratio. 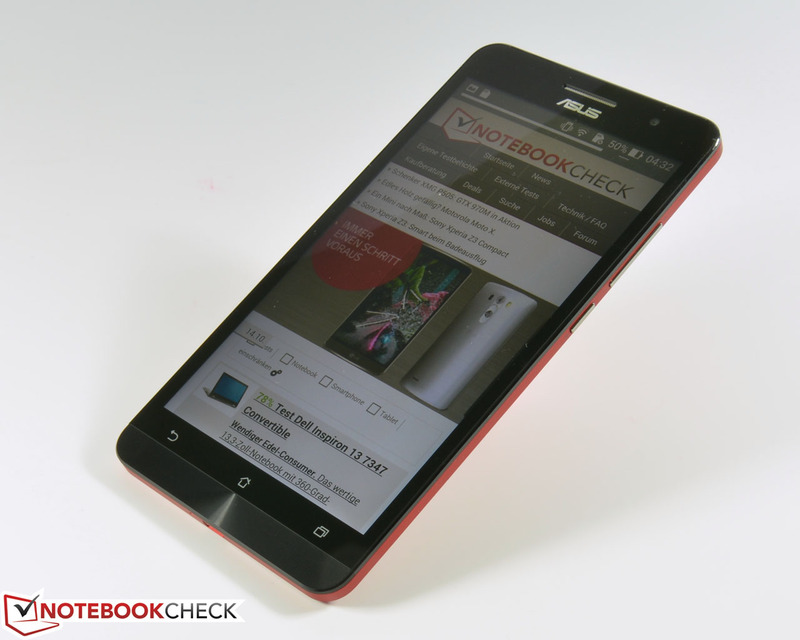 In Review: Asus ZenFone 6 A600CG. Test model courtesy of Asus. 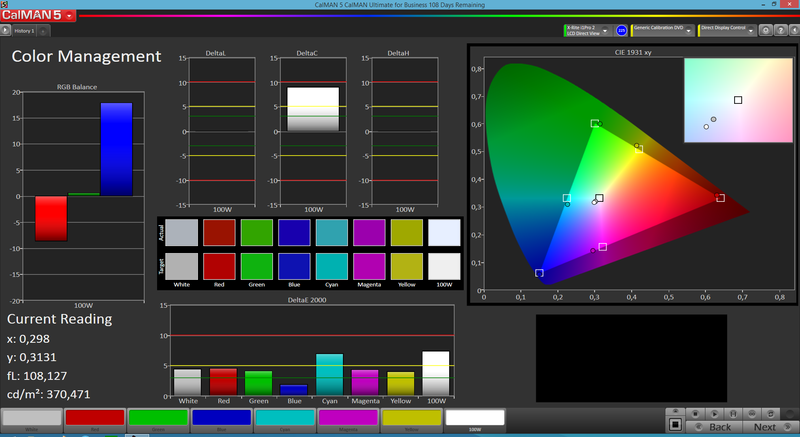 The IPS+ display with the HD resolution of 1280 x 720 pixels. Attention for details: The physical buttons are made of aluminum and follow the Zendesign as well. 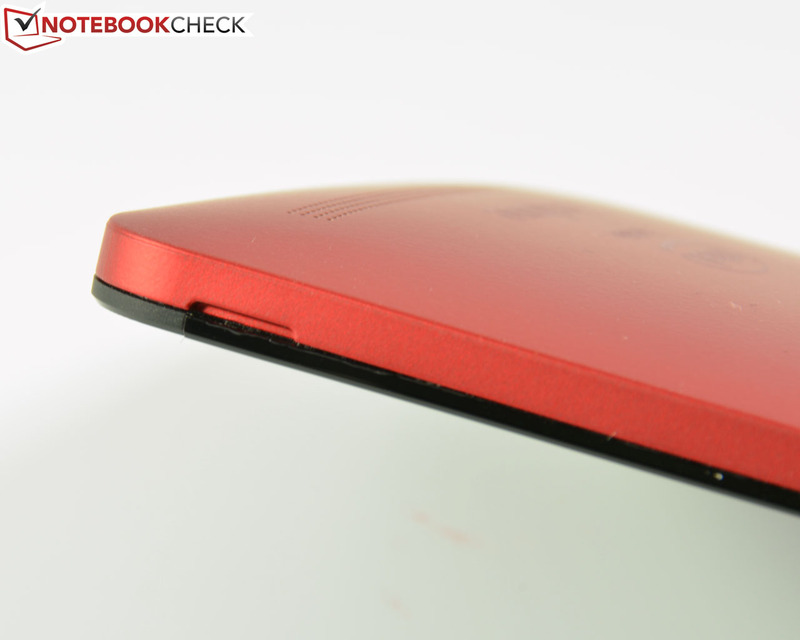 The back cover is matte and rubberized, which is very convenient for the hand. The display is protected by scratch-proof Gorilla Glass 3 and the rest of the case is also very sturdy. Reflections of the glossy panel are a problem under direct light. ...the main camera on the other hand takes decent pictures. 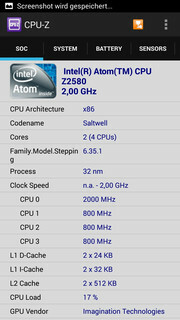 CPU-Z reveals an Intel Atom CPU from the Saltwell-series. ...removed, but it is very firm. The indentation to open the case is a bit small and can ruin your fingernail in combination with the firm fixation. The detached cover reveals more connectivity options. ...use micro-SIM cards, both slots support 3G. You can also use microSD cards with up to 64 GB. The speaker sounds decent, but the wide grille wouldn't have been necessary. The speaker itself isn't this wide. Lost opportunity: The battery is unfortunately integrated and cannot be replaced. 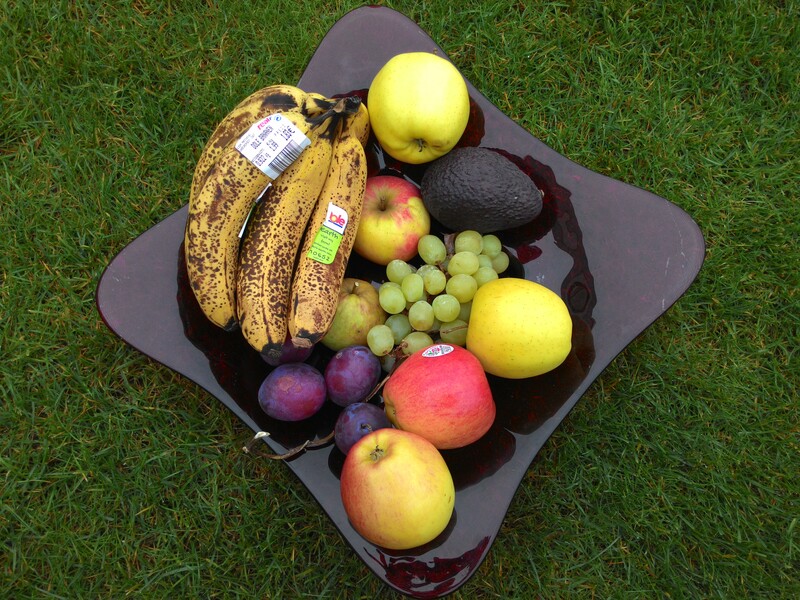 ...is, besides the Cherry Red of our review unit, also available in black, gold and white. The combination of a nice design and the powerful components. That Asus only uses powerful Intel SoCs in this price range.